The latest Limited Edition M2 MOS Air guns are HERE! Splash and fade anodizing are stunning on their own, but we decided to take it to the next level. DYE’s Craftsman have worked their magic to combine both splash and fade styling to create striking color combinations. With our unique process, we’re able to offer each gun to you as a 1 of 1, making these truly unique to each owner. 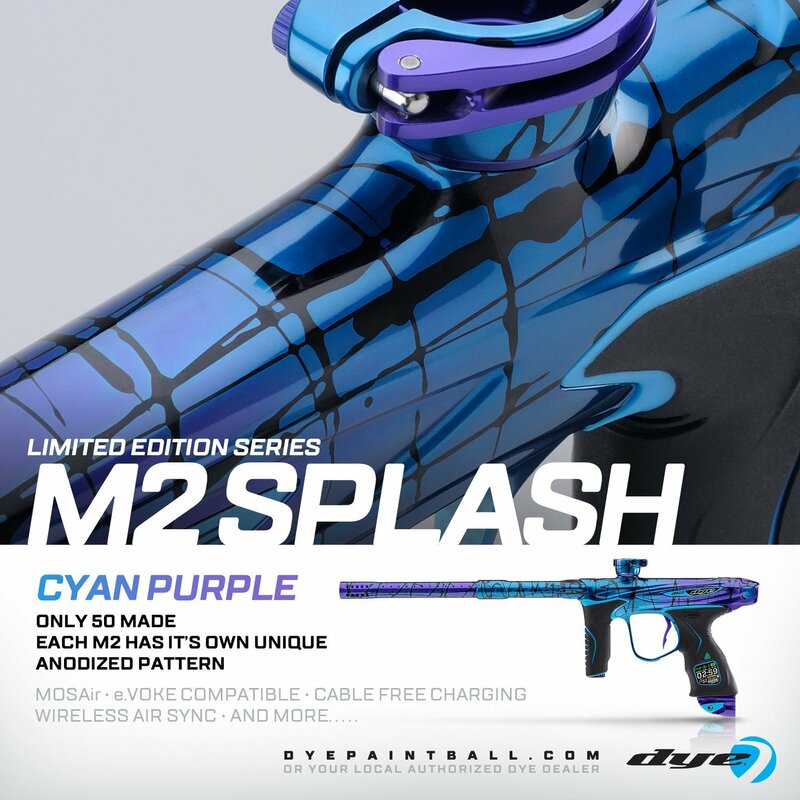 No two M2 MOS Air Splash Series guns are the same. Production is set to only 50 total worldwide per color. Be sure to act fast and scoop up one of these Limited Edition M2’s before they’re gone for good!